Wendy is originally from Nova Scotia and has been in Manitoba for almost 20 years. She will always be a Nova Scotian at heart. Wendy is our office manager and has over 15 years of customer experience and takes pride in her work. 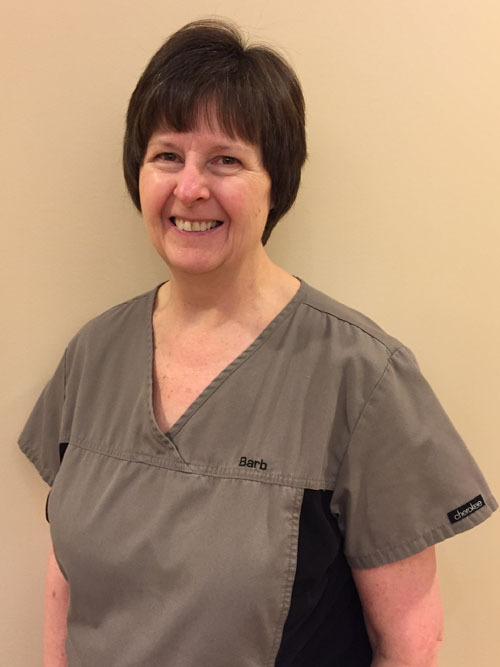 Barb attended WIAAS in Regina and received her diploma in dental nursing in 1977. She worked as a dental nurse until 1981 when she moved to Winnipeg to study dental hygiene. 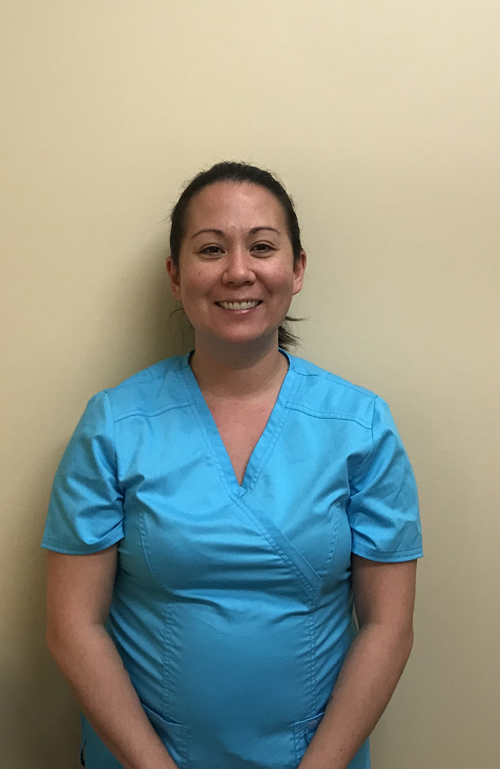 Since graduating from University of Manitoba, School of Dental Hygiene, Barb has worked in British Columbia, Alberta and Manitoba. She has worked for Dr. Corbett since November 2000. Lauren grew up in Brandon her whole life so she is very excited to be able to work in an office close to home. 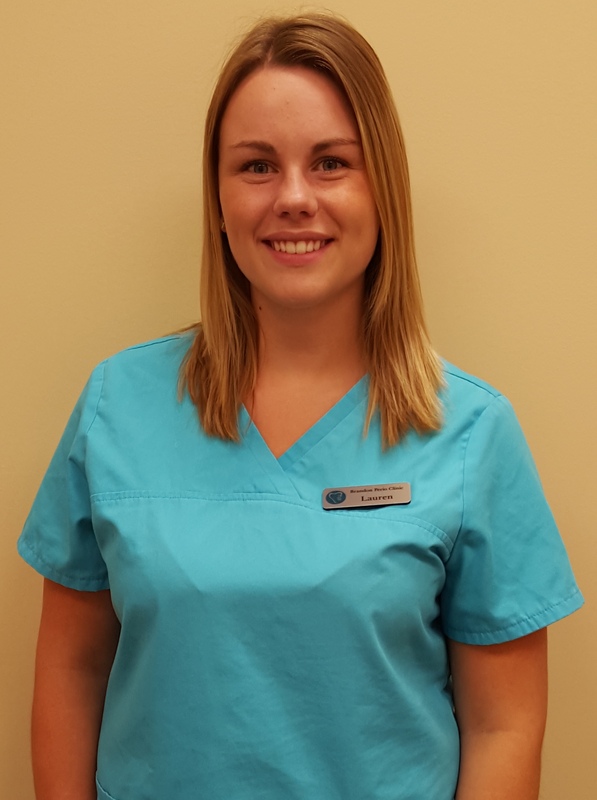 She recently graduated with honours from the Dental Assisting program at Red River College. Lauren loves to ride her horse Tango and had a fabulous wedding this past summer! Having a happy and health smile is something Lauren has always valued. LeeAnne is originally from Swan River, MB and has made Brandon her home over the past 7 years. 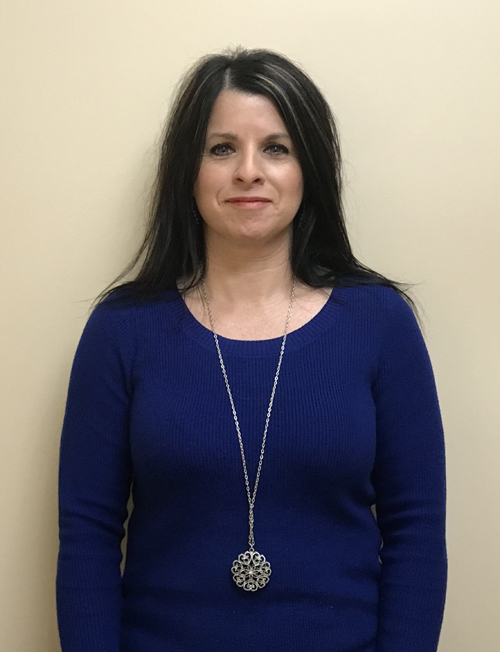 In that time she has completed her Business Administration diploma from Assiniboine Community College and brings with her 6 year of knowledge within the general dental field. She is excited to start a new career in the specialty field of Periodontics. LeeAnne spends her time enjoying the outdoors snowboarding, wakeboarding and camping. 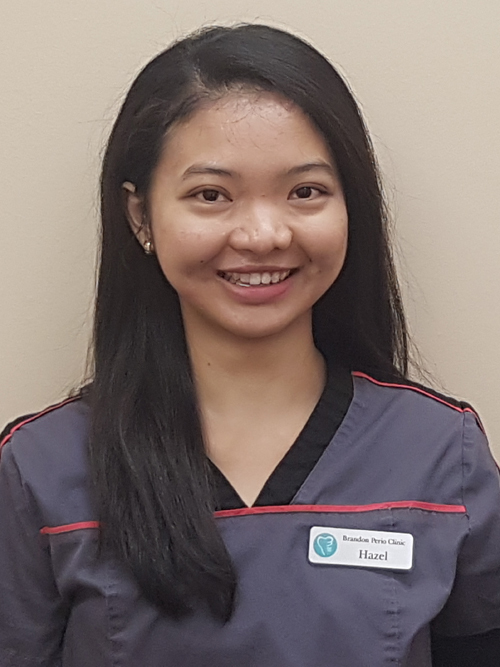 Hazel is originally from the Philippines, she had made Winnipeg, MB her home for the past 7 years until she decided to take on new adventures in Brandon, MB. She graduated from the University Of Manitoba School Of Dental Hygiene in the spring of 2017. She was fortunate to be selected as the recipient of the Canadian Journal of Dental Hygiene Student Essay award in Ocotber2017. 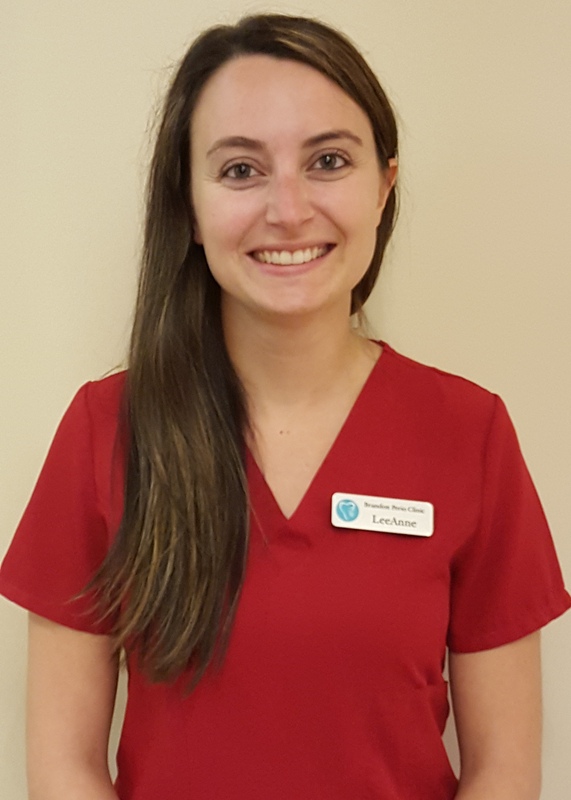 She is very thrilled to begin her career in Dental Hygiene in a team oriented practice focused on providing comprehensive client-centred care. Tara was born and raised in Winnipeg and moved to Brandon 8 years ago. 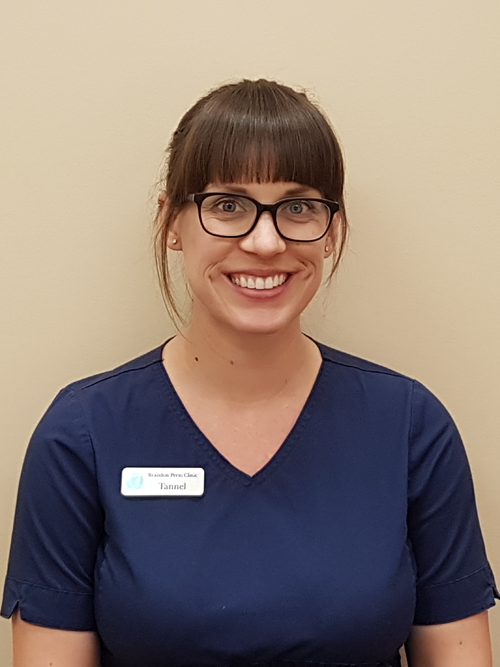 Tara loves working with the patients to help them get that healthy smile they want. Tannel grew up in Winnipeg, but moved to Brandon over 10 years ago. She graduated from dental assistant program with honours in 2009. She enjoys spending family time with her husband and young son. She looks forward to seeing you in the dental chair!